Marguarita is a Partner in the Clinical Negligence team. Marguarita joined Clarke Willmott in 2015 after working at another national practice since 2000. 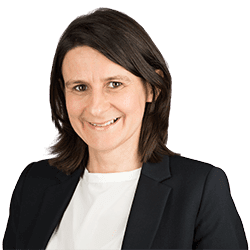 Since joining Clarke Willmott she has continued to investigate brain injury cases, including those arising as a result of meningitis in childhood. She also acts for a number of clients who have suffered permanent Neurological injury as a result of delayed stroke treatment. In addition to brain injury work, she acts for Claimants in a wide range of cases including delayed cancer diagnosis, orthopaedic mismanagement, surgical error, gynaecological injuries and mistakes arising from systemic failures. Marguarita’s skills encompass the uppermost level of complexity for this type of work. She brings to her handling of cases, focus with a keen sense of the importance of the case to individuals and is tenacious in her pursuit of a favourable outcome for her clients. Marguarita is ranked in Legal 500 and Chambers. Marguarita is accredited as a specialist on both the AvMA and Law Society Clinical Negligence Panels. Mismanaged labour – cerebral palsy resulting from a delayed decision to deliver a baby by caesarean section, resulting in maximum severity injury and full care package for life. Delayed diagnosis of placental abruption and failure to deliver by emergency caesarean section, resulting in maximum severity injury. Failure to recognise and treat hydrocephalus resulting in loss of vision in addition to original brain injury. GP failure to refer for prompt investigations resulting in delayed diagnosis of prostate cancer and poor prognosis.